This Economic Paper considers the likely effects on African, Caribbean and Pacific countries of the European Union’s Directive on Illegal, Unreported and Unregulated (IUU) Fishing, planned to be implemented from 2010. It will be difficult for developing countries to meet the requirements of the directive at time when many aspects of globalisation are supportive of IUU fishing. 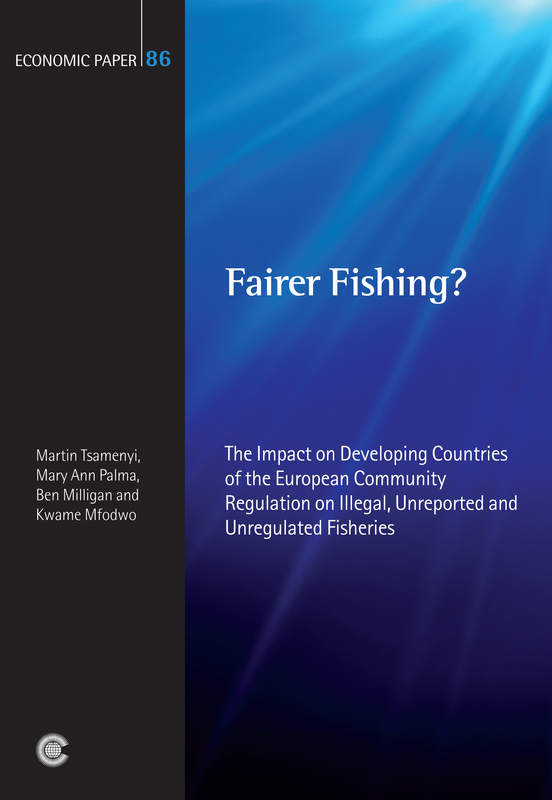 The authors argue that even though measures to combat IUU fishing are welcome, developing countries will require comprehensive technical and financial resources to effectively implement this directive, otherwise a disproportionate burden of global efforts to combat IUU fishing will fall on them. Professor Martin Tsamenyi is Director, Centre for Maritime Policy, University of Wollongong, Australia. Dr Mary Ann Palma is a Research Fellow at the Australian National Centre for Ocean Resources and Security. Ben Milligan is a research student in the Faculty of Law at the University of Wollongong, Australia. Kwame Mfodwo teaches in the Law School of Monash University, Australia.